The leaf is the tree's main photosynthesis (Synthesis of organic substances made by plants from the light energy.) factory. In order to maximize the amount of light absorbed, most leaves have developed a wide, flat portion called the blade (lamina). Not everything about a larger surface area is positive, however. 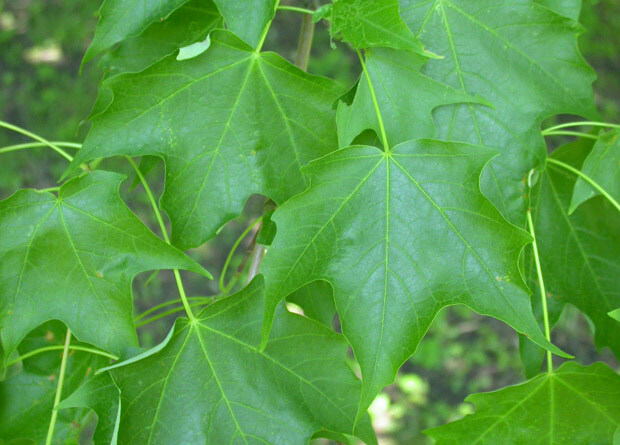 For example, browsing animals find such leaves more attractive, and the leaves lose more water via transpiration. That's why leaves come in not just one shape, but an almost infinite variety. Every size and shape has its own particular advantages and disadvantages. The leaves of each tree species have evolved in accordance with that species' own characteristics and requirements.